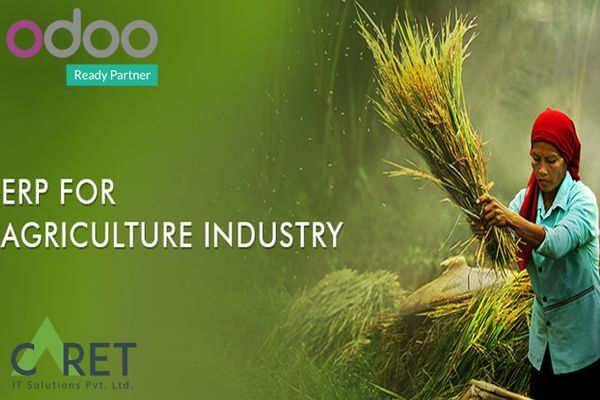 Caret IT has created an Odoo open ERP software for the agriculture sector to meet the needs of inventory management in their sector. This system can be used by farmers, agricultural vendors, and agrochemical companies for the management of their business. Our aim is to generate the calculation of goods utilized while cultivating the crops so that the farmers can take out the estimate of the whole procedure and set up a budget for selling their goods. Our Odoo experts have invented an extremely user-friendly system which the farmers and the local dealers can use efficiently without any issues. We have tried to keep the record of every possible aspect that is a necessary tool for farming. Information about the land like border area, fertility analysis, type of soil, past climate events occurred, etc. Keep the record of labor used in cultivating including manpower, machinery, vehicle or animal support. Record of fertilizers applied to the farm per hector. Record of pesticides used per hector in the farm. Keep the track of diseases occurred in the land and the area affected by it. Information on crops cultivated on the land like seed size, vigor, seed density, variety, etc. Caret IT has the vision to develop this project further with some advanced features like web mapping with the Odoo geo engine module and many others. But this is our first step towards the agricultural industry. Right now, we have included the terms that can calculate the potential yield and farmers can compare and correlate the practices between two companion lands and obtain the best products from the land based on the calculations for the particular land. We have kept the user’s facility at our priority list. Our app is so easy and simple that anyone can operate it efficiently once taught about it. Along with simplicity, security is also at its best in our app. So no one can enter the owner’s world without his permission. Our team is our strength. They work dedicatedly 24X7 to provide you the best quality of work. The creative and custom modules are created just for you. We even offer the after services for the software. You can anytime contact us for updating the app or understand anything about it. We are always open to you. Feel free to join us for the development of your business on a technical path. Forget the long books for writing accounts and maintain it for years with a lot of space acquired. Just go with our Odoo apps and manage your whole business on it for the lifetime.